KATHMANDU, Dec 19: Former Prime Minister Dr Tulsi Giri, who was a prominent Nepali Congress leader in the initial years of the party and later became a trusted lieutenant of King Mahendra and King Gyanendra, passed away on Tuesday. He was 93. 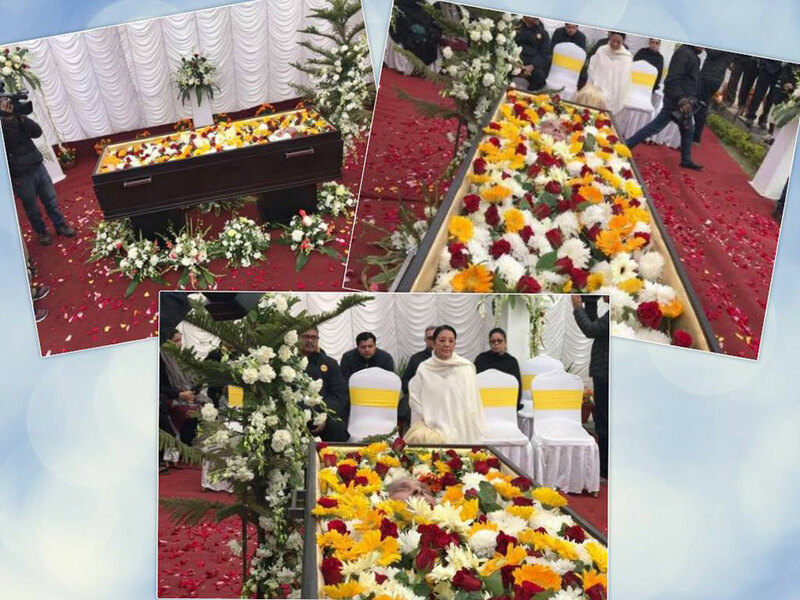 A medical doctor, Giri, who was suffering from liver cancer of late, breathed his last Tuesday morning at his Budhanilakantha-based residence in the capital city Kathmandu. Giri had been discharged from Medicity Hospital after treatment on Saturday. Giri, who became minister in the cabinet of Nepal's first elected prime minister BP Koirala in 2015 BS (1959 AD), later quit the Koirala government to join King Mahendra. The king later sacked Koirala and his elected government and headed the government himself. A general secretary of Nepali Congress under the leadership of BP Koirala later became a trusted leader of King Mahendra when the monarch dissolved the democratically-elected government. After that, the king introduced party-less Panchayat system and it took 30 years of political struggle for major political parties to reinstate multiparty democracy in 1990. During the party-less Panchayat system, when king was all-powerful, Giri became head of government twice. He became head of the government as chairman of the council of ministers for two years, from 2019 BS to 2021 BS. Later he became prime minister from 2032 BS to 2034 BS. During the Panchayat system, he was believed to be supporting the king to enforce hard-line Panchayat system that is to be more rigid against political parties while some other leaders including Surya Bahadur Thapa were for giving continuity to the Panchayat system with a liberal approach toward political parties. When King Birendra, who was considered liberal in comparison to his father King Mahendra, announced a referendum on 'reformed Panchayat' versus multi-party system, Giri was dissatisfied with the decision and left the country. He lived in Sri Lanka and India during the years. Giri made a comeback in Nepali politics after nearly three decades when King Gyanendra took over executive power and started his direct rule becoming chairman of the council of ministers. Giri returned to Nepal to become senior vice-chairperson of the king-headed council of ministers in 2005, when leaders of major political forces such as Nepali Congress and CPN-UML, among other parties, were detained by the authorities. A veteran politician of the Panchayat era, Kirtinidhi Bista, was another vice-chairperson of the cabinet, at the time. Giri's political career ended after the popular political movement ousted King Gyanendra in 2006. Several leaders including Prime Minister KP Oli and main opposition leader Sher Bahadur Deuba paid tributes to former prime minister Giri. “I am sad on the death of former prime minister Tulsi Giri. I express my heartfelt tribute to the late Giri and condolence to the bereaved family and relatives,” said Prime Minister Oli on Twitter. Chairman of Rastriya Prajatantra Party, Kamal Thapa, wrote on Twitter and in his statement that he lost his guiding light and inspiration on the death of Giri. “The country has lost a nationalist leader,” he said. Former prime minister Baburam Bhattarai of the Nayashakti Party Nepal described Giri as “a distinguished talent despite that he followed a different political line”. Family members have planned to cremate him in the electronic crematorium at Pashupati Aryaghat Wednesday afternoon. Giri is survived by two sons, four daughters and wife.